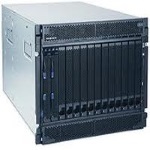 Maxicom Global is ready to help with your pre-owed/used Dell server's needs. For Dell our certified technicians will integrate and test your next configuration to ensure it arrives, ready for implementation. Contact us for the latest in Dell servers, features and components.